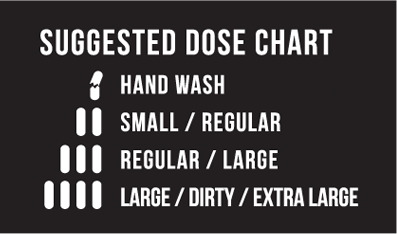 The World's First Laundry Pill ! NEW! A breakthrough in Natural Cleaning! clean all of your dirty laundry. What are These Little Laundry Pills? Our Laundry Pills are all new and all natural. Ultra-concentrated soap nut powder in an easy to use pill. Just toss them in the washer and be amazed at how clean, soft, and fresh smelling your clothes come out. The patent pending blend of natural ingredients is powerful enough to make your laundry clean and odor free while gentle enough to soften and leave colors intact. Visit the FAQ page for more information. Naturally Free of toxic chemical cleaners, artificial coloring, and manufactured fragrances. No harmful discharge back into our water system! 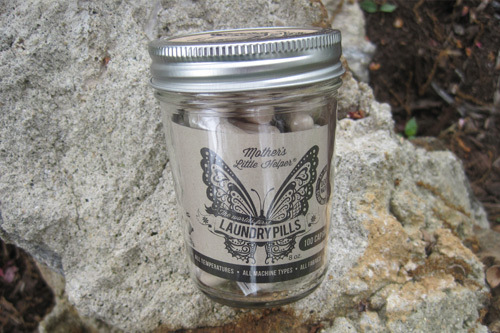 If you're loving these Laundry Pills and ready to sign up for a subscription click here.